Depictions of bisexuality and pansexuality exist in every medium, many of them problematic but some amazingly spot on. Here were some of my favorites. In Me Him Her we follow three millennials as they try to figure out out their sexuality. 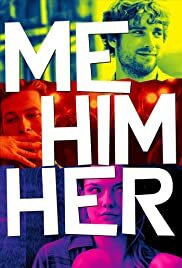 Me Him Her is available on Netflix. In Crazy Ex-Girlfriend Rebecca Bunch follows her ex-boyfriend to West Covina, California. After she comes to town we get to watch a cast of characters, including her boss, as they discover who they really are. Crazy Ex-Girlfriend is available on Netflix. Janelle Monaé is pansexual herself. Hayley Kiyoko is bisexual herself and has several songs and music videos that clearly depict a bisexual character.